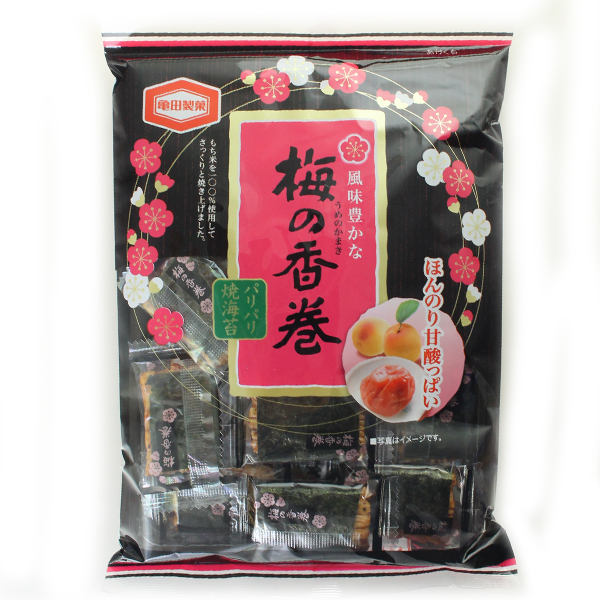 Escape with a bag of these popular crispy Japanese rice crackers. This snack is uniquely flavored with soy sauce, sugar, and the beloved sour red plum. Each cracker is wrapped in a layer of crunchy seaweed.